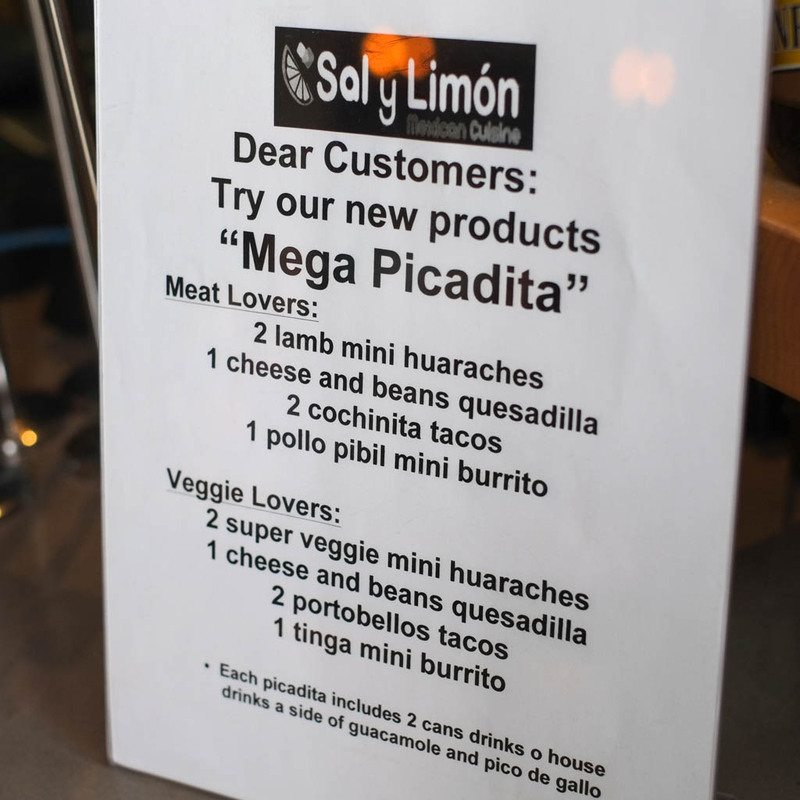 Sal y Limón is flanked by Straight Outta Brooklyn (review of their downtown location here and here, applies equally to this location) on the left and Alenka European Foods on the right. SOB pizza slices are great when they’re hot. My enjoyment of them decreases by a lot once they cool down though, but they reheat well if you need them to-go. Alenka has some great sesame seed halva along with other eastern European deli foods. Ba Le (the Vietnamese banh mi place) is also part of the same strip mall. 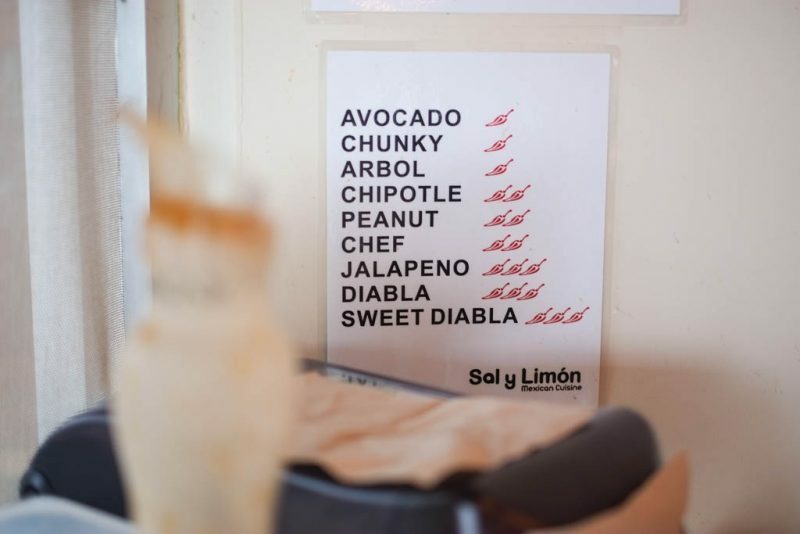 Sal y Limón has a massive menu, but it’s mostly reconfigurations of the same basic proteins in taco, burrito, quesadilla, or huarache form. 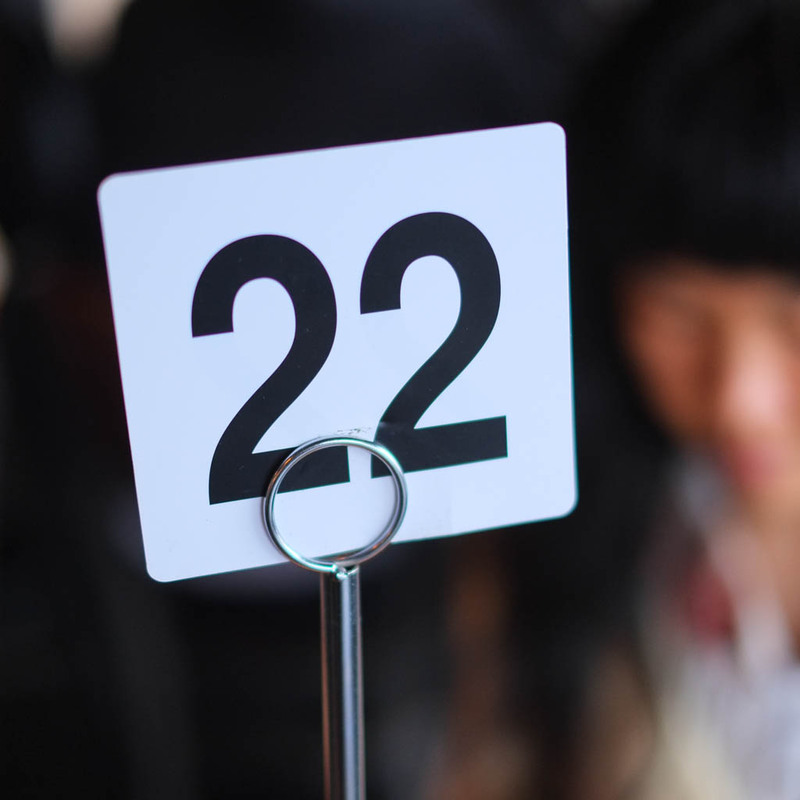 Sorry, I can’t find a full, up-to-date menu online. 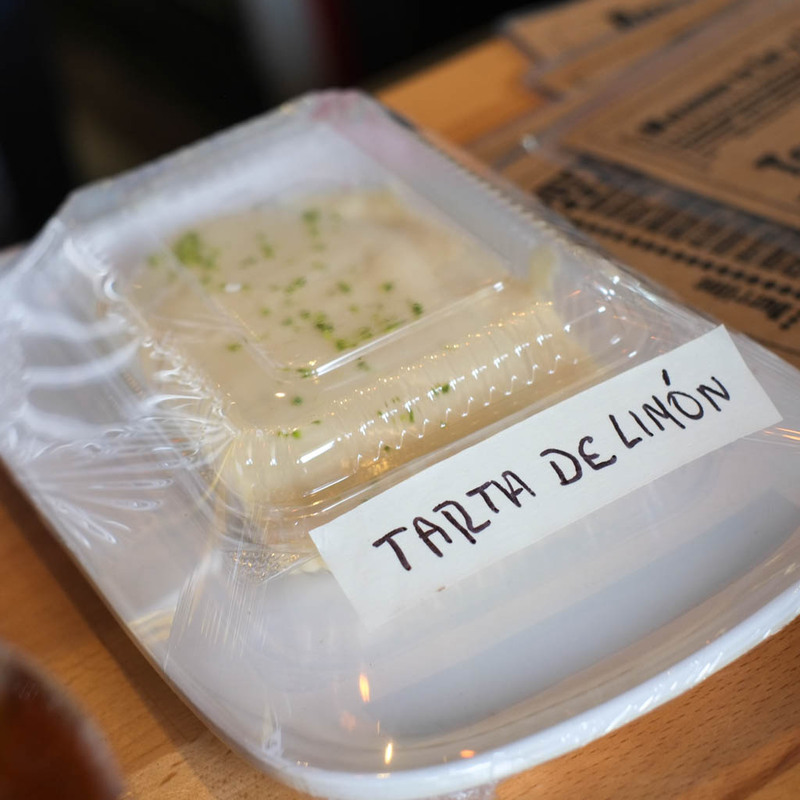 I *do* support out-of-the-ordinary things like this tarta de limón, though! 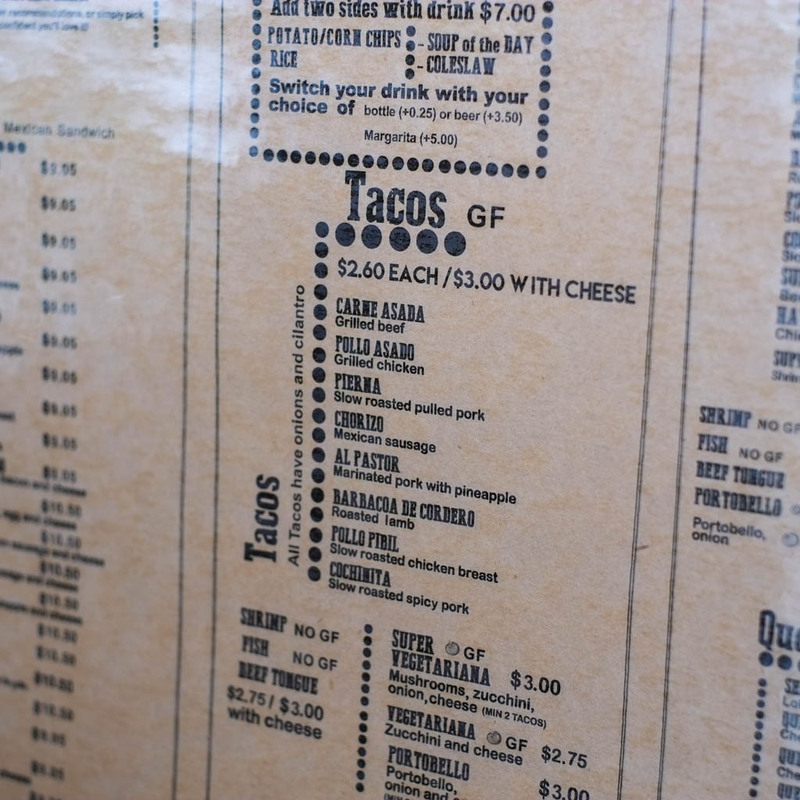 But lemme check out their basic tacos first before I commit. Beer, yes! 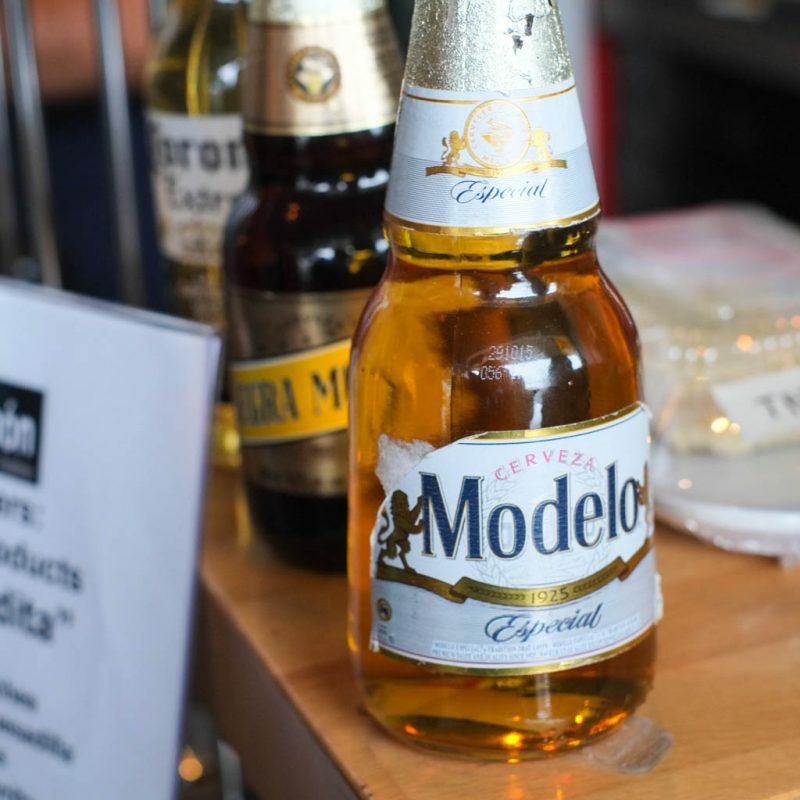 Mexican beer, hmmmmm…maybe under special circumstances, but let’s try their actual tacos first. Tacos are $2.60 now. Seems like last year they were $2.25 but I understand that the price of meat increased a lot over the past few years. 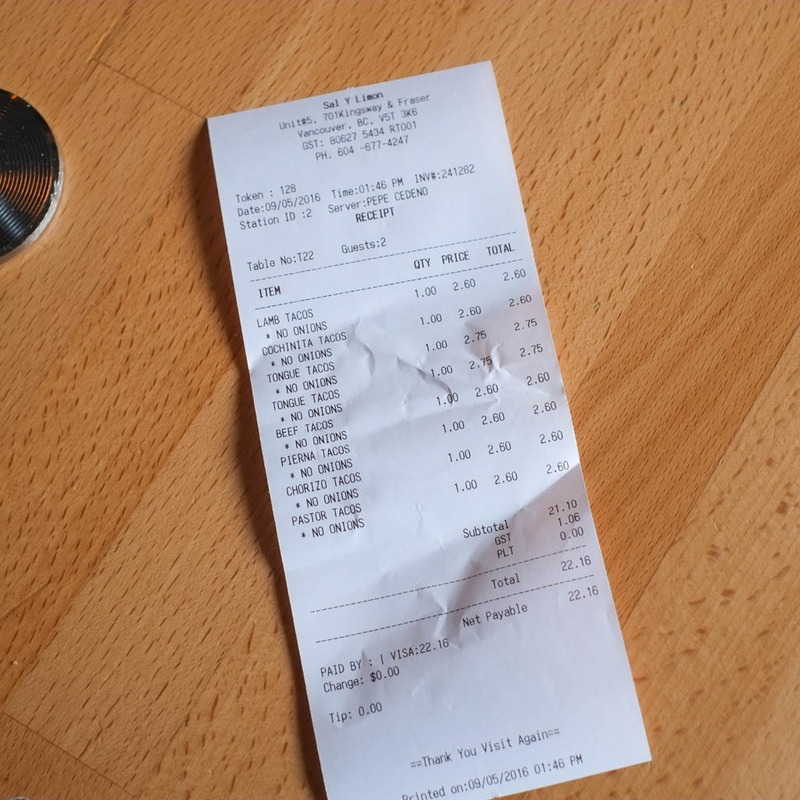 We also got a couple tongue (lengua) tacos, and those are a bit more expensive at $2.75 each. Ultimately, price does not matter to me much if the flavour is there. Wicca does not do onions, so no onions on anything — just to keep it simple for the kitchen. I’ve developed an allergic reaction to capsaicin over the past few years. I love spice but I break out in scalp and face sweats instantly. 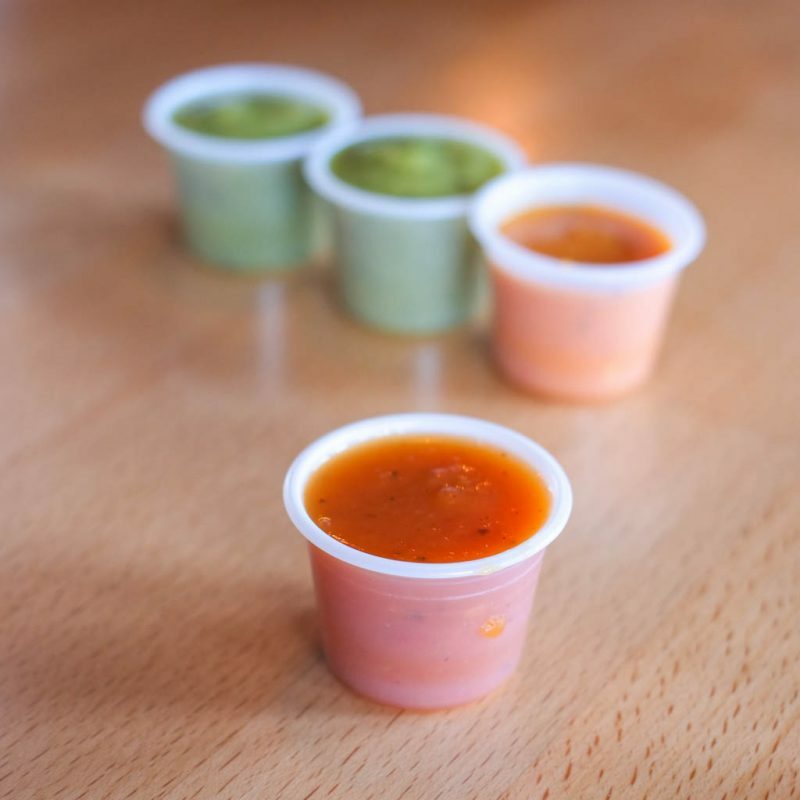 We stuck to the milder salsas. Two avocado and one peanut. Then I went back and got an arbol for fun. 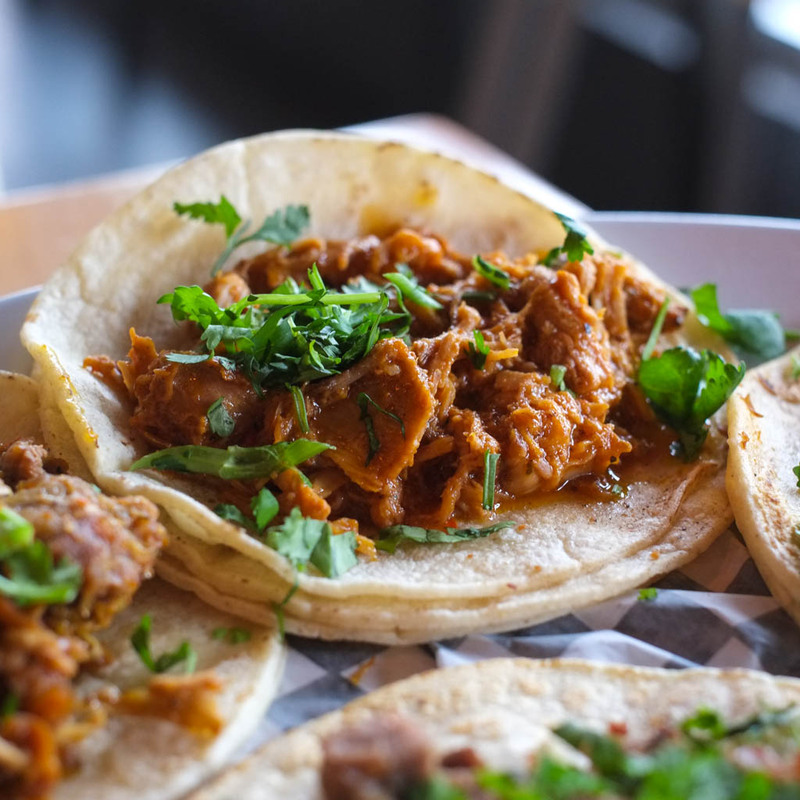 The fillings should be moist and flavourful enough to stand on their own, and the salsas are the bonus flavour pairing in your mouth. The Carne Asada (Grilled Beef) looked like sliced hot pot beef. If it looks dry to you, well, it was. This was a theme with most of the tacos here. Dry and weakly-flavoured fillings. 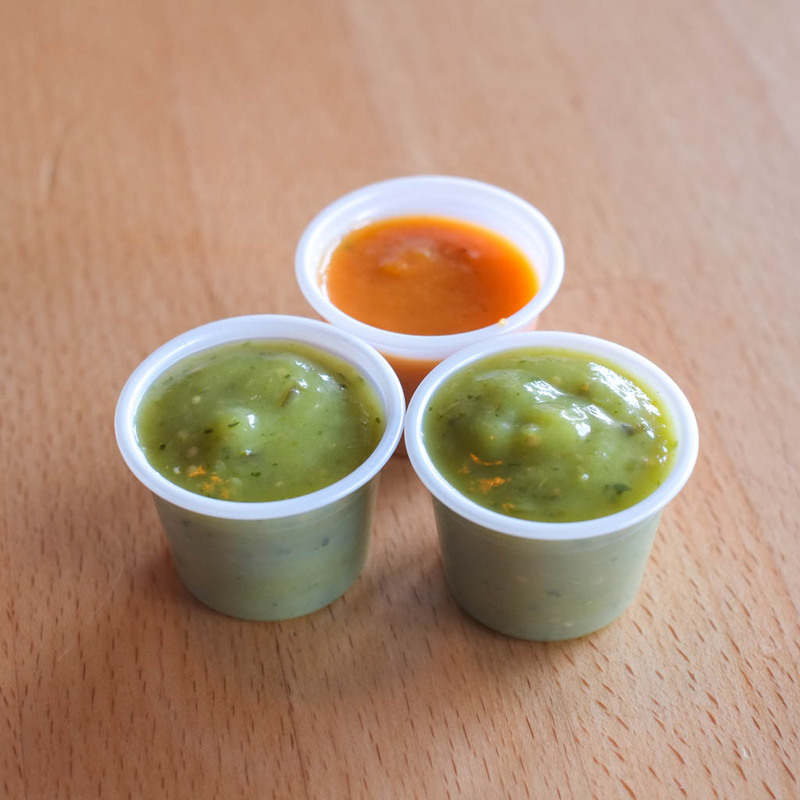 If you’re relying on the salsas to provide moistness and flavour, well…I view it as a disappointment and a fail. 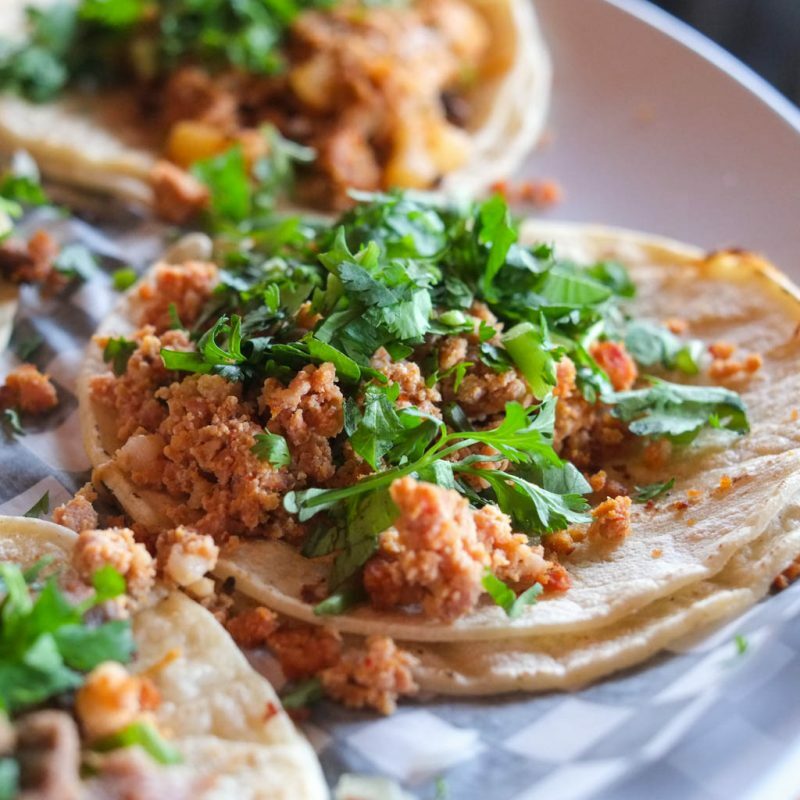 The fillings should be moist and flavourful enough to stand on their own, and the salsas are the bonus flavour pairing in your mouth. And what happened to using actual cubes of steak for carne asada? The Chorizo (Mexican Sausage) was the driest chorizo I’ve ever had. 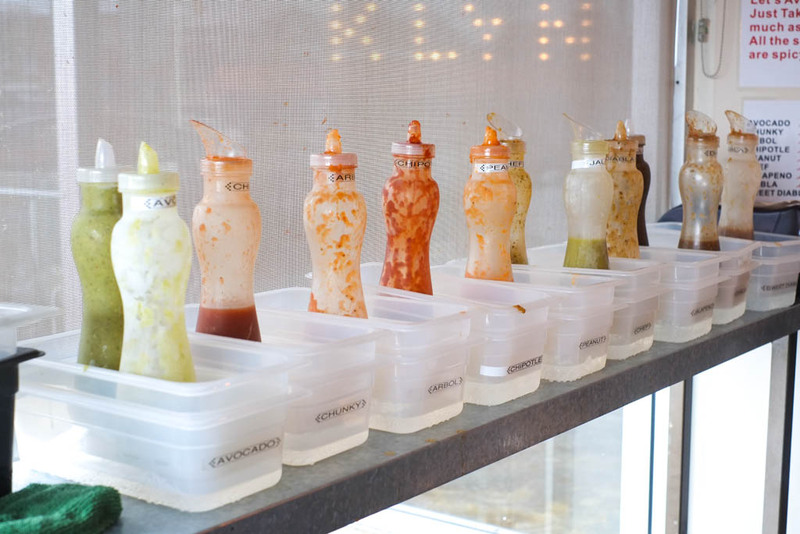 When moistened with salsa, you end up tasting mostly salsa. On a positive note, the tortillas are warmed up well and pliable. Nothing worse than a dry, unwarmed tortilla, so these guys win on that point. 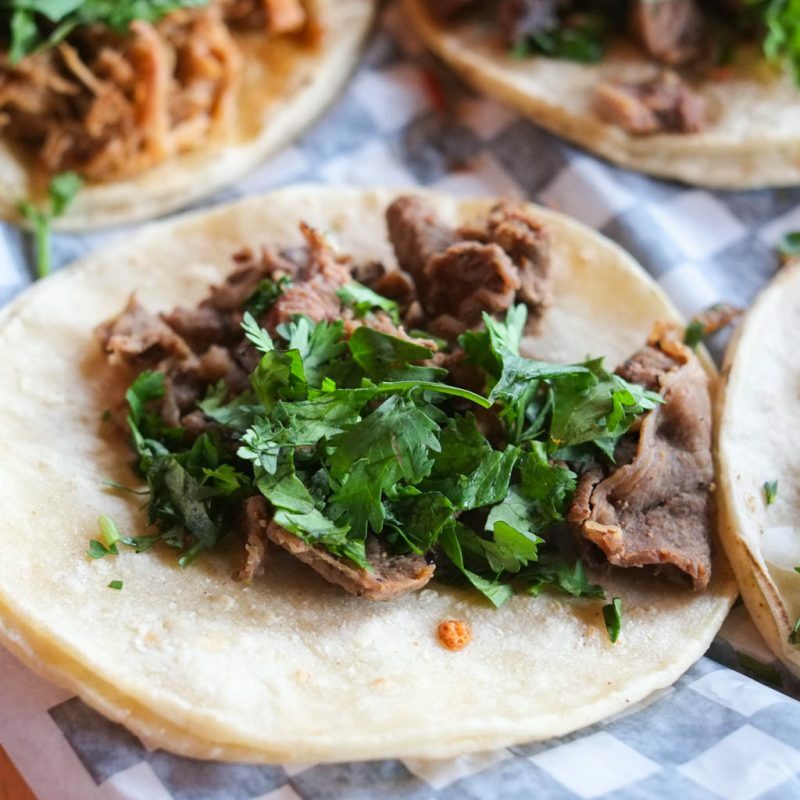 If anything, I could use a touch more grease cuz fat is flavour and these kinds of tacos should be at least a little bit greasy. 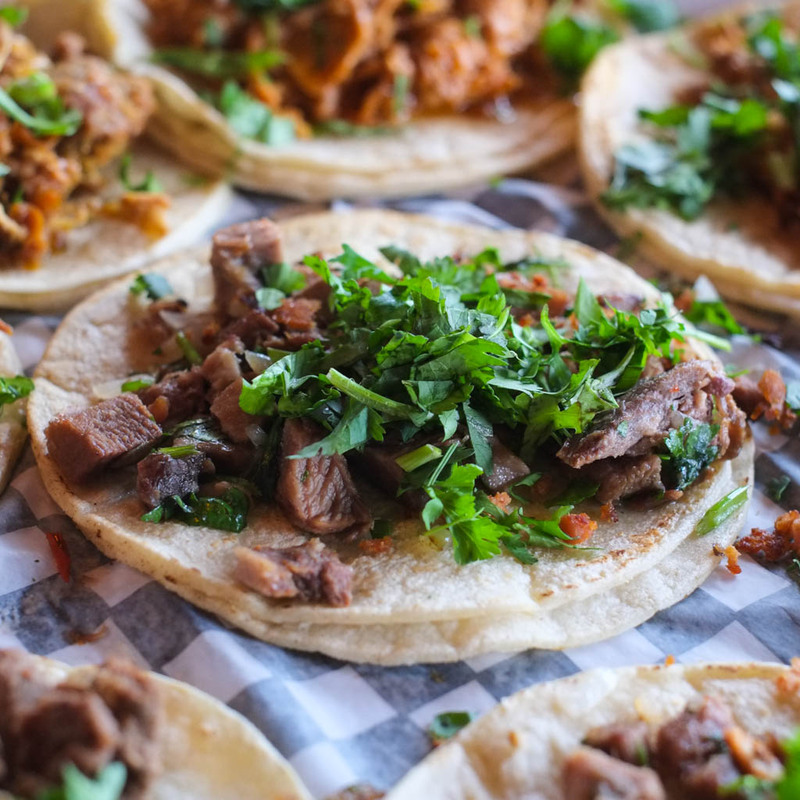 Lenga (Beef Tongue) is maybe our favourite taco — when done well. While this had a decent amount of meat, it was bland and didn’t make much impact. I added a couple cranks of salt but it didn’t help much to crank up the actual flavour. 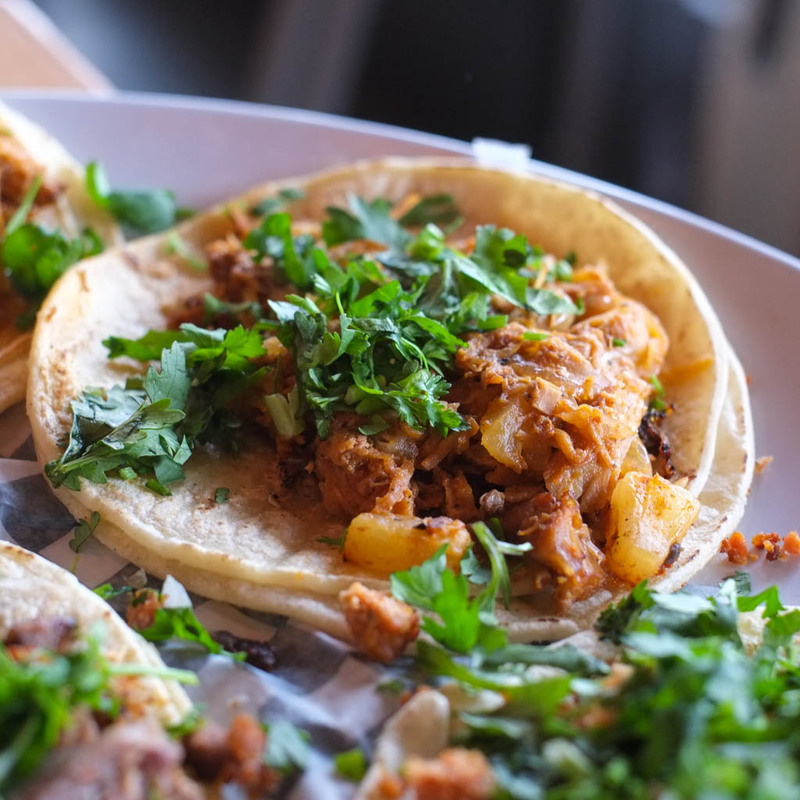 Depending on the taco, salt can save it, but there comes a point where salt can’t overcome lack of spices or seasoning. 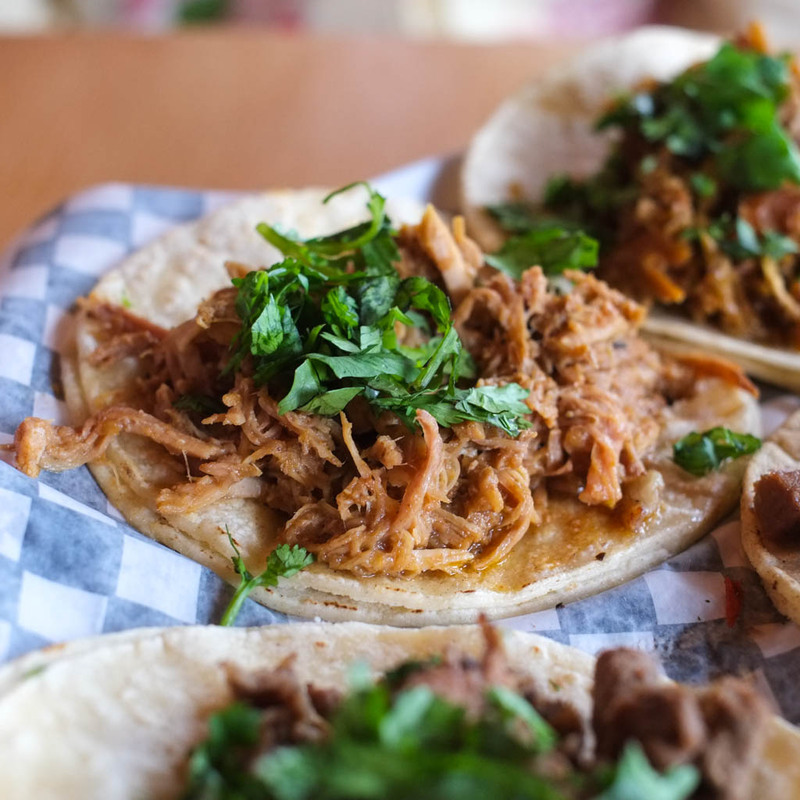 Cochinita (Slow Roasted Spicy Pork). The theme continues. 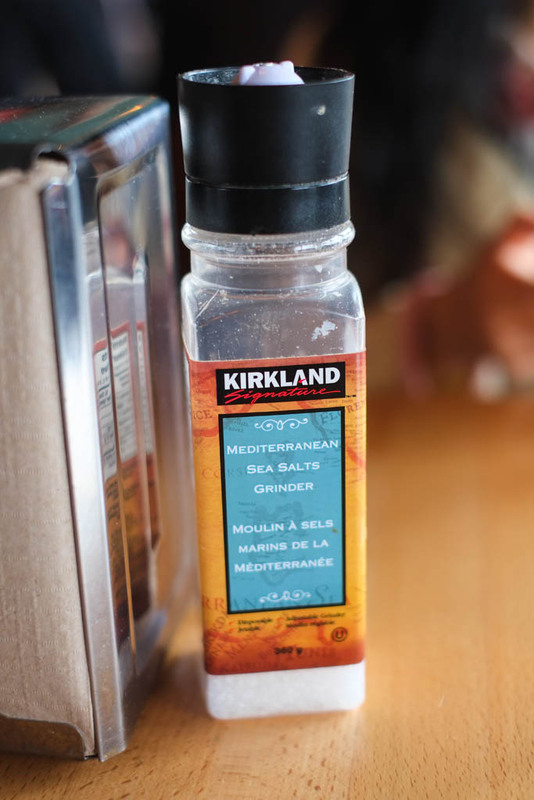 Underseasoned, like they pulled way back on the spices. Too bad cuz it looked like one of the more flavourful ones. Barbacoa de Cordero (Roasted Lamb). This one was bordering on good. Almost like a lamb version of carnitas with the caramelized bits of meat. But again the dryness and blandness required salsa. 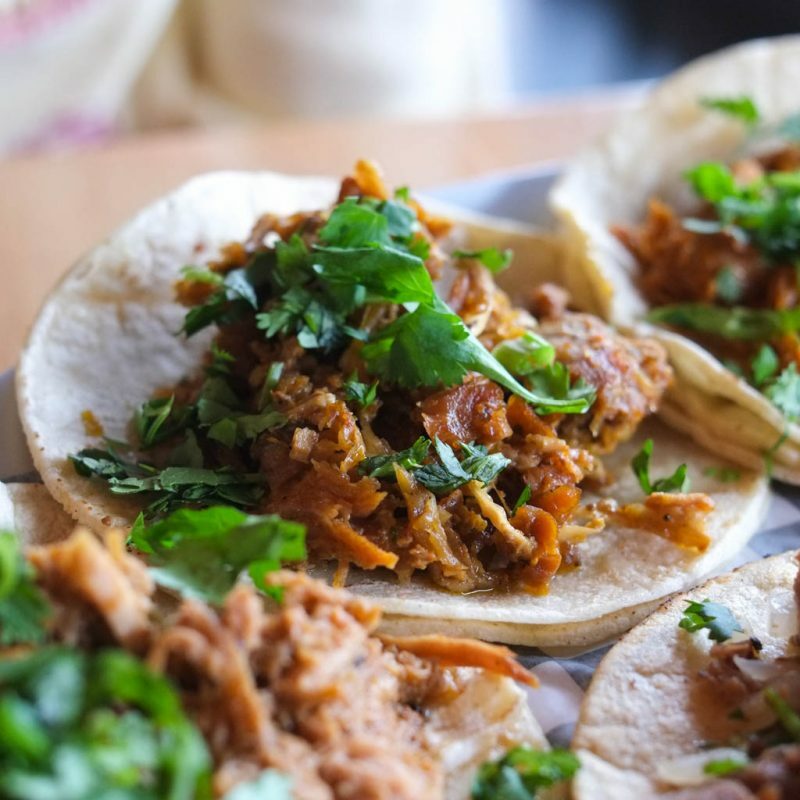 Pierna (Slow Roasted Pulled Pork). Same dilly. One conclusion I have to draw from this place is that when you’re as constantly busy as this place is, flavour and quality is a moot point. If there’s enough people that think it’s good and keep your restaurant filled, that’s all that matters, right? 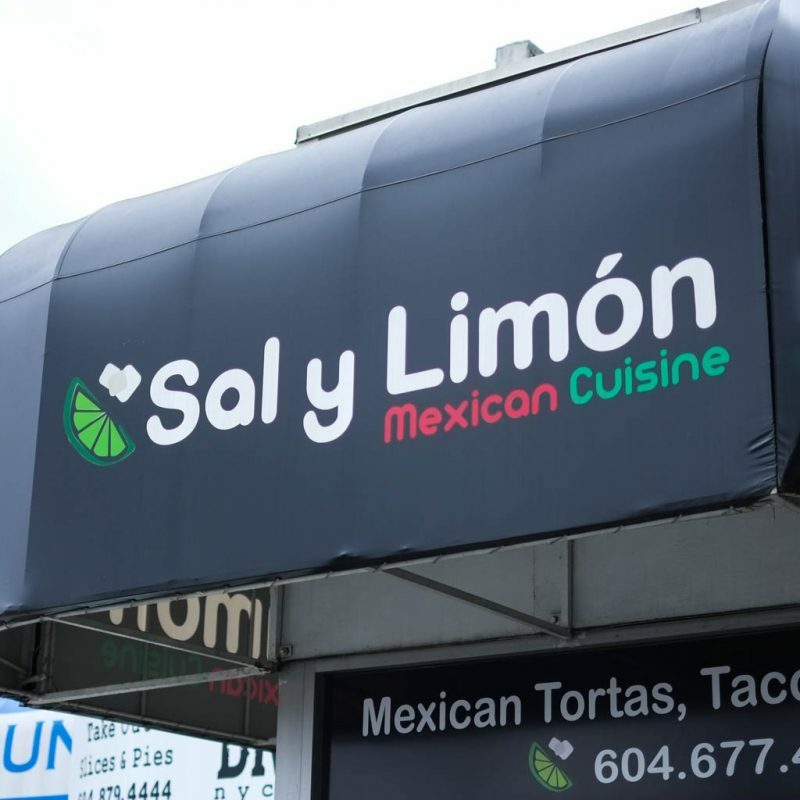 It boggles my mind that Sal y Limón is considered one of the best taco places in Vancouver. There has to be better. I pray that there is better. Shame! 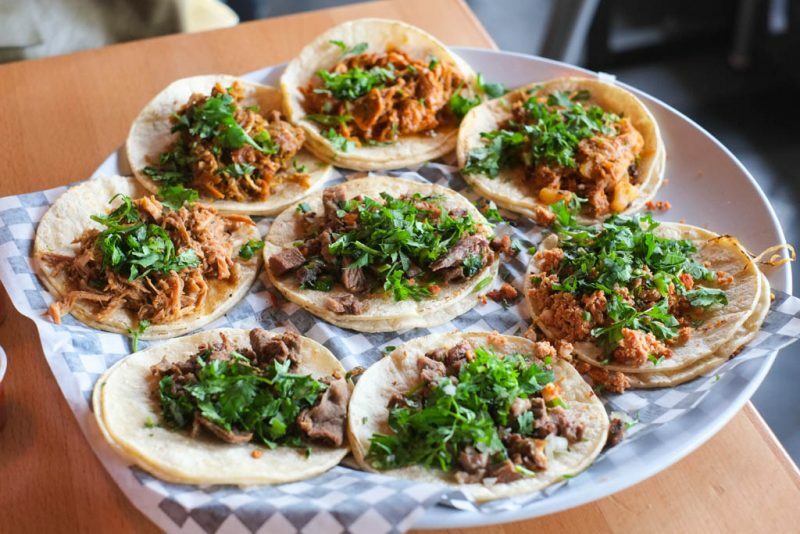 🙁 Tacofino in Gastown remains my favourite Vancouver taco joint. So sad to hear this was not a great experience! 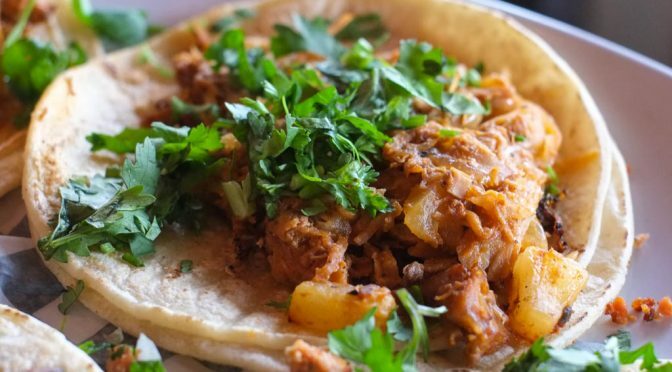 Also nobody should have to wait 25 minutes for tacos, especially if they’re going to be bland. I actually went back and looked at the timestamps on my photos. The tacos only took 10 minutes. But it felt longer! But yeah, I was wrong on that point.